Healthy Happy Foot offers effective and affordable verruca treatment. Call us today to speak to our expert podiatrist today. At Healthy Happy Foot, our podiatrist is HCPC registered. Once you visit us, we assure you of a high standard of care and treatment. Treatments for verruca can be time intensive and are not always completely effective. The verrucas can reappear after treatment. Our specialist podiatrist is known for providing thorough assessments of the condition followed by appropriate treatment and after care.To find out more about our range of treatments, get in touch with us today. 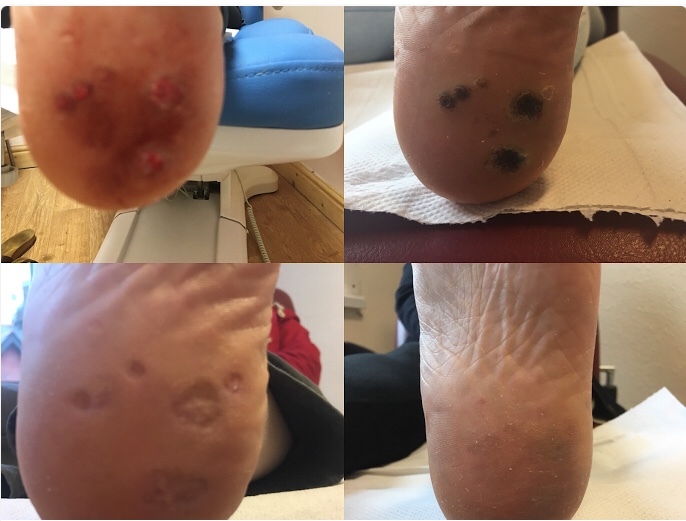 At Healthy Happy Foot, we offer a variety of treatments for verrucas. We select the treatment method based on factors such as the number, size and location of verrucas as well as your individual health and circumstances. Our podiatrist will discuss a complete treatment plan with you. 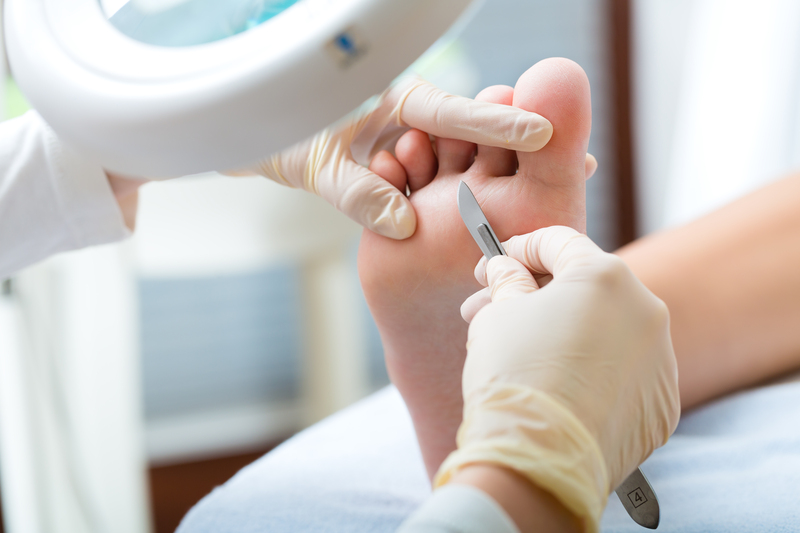 In addition to Verrucas, get in touch with us today for nail cutting, fungal nail, verrucas, chiropody services, podiatry treatments and toenail reconstruction – we’ll be more than happy to help. Bottom right 16 weeks after verrucas and scarring completely gone.